Sahara Group has rolled out procedure to sell over 4,700 acres of land across India, which is expected to earn the group around Rs 6,500 crore. Sahara is one of the top real estate holders in India, and claims that it owns around 33,633 acres of land bank.HDFC Realty and SBI Capital Markets have put Sahara’s land across 14 states for sale. Earlier this month, the Supreme Court released Sahara chief Subrata Roy and group director Ashok Roy Choudhary on parole for four weeks. The Sahara Group is predicting to cluster Rs 6,500 crore proceeds from the sale. According to market expert most of the lands are near agricultural and rural areas which could stroke the amount realized. News daily has reported that Supertech expressway project –Upcountry, which is ready to move in, has been cancelled by the Yamuna Expressway Industrial Development Authority (YIDA), on the basis of submission of forged papers. builder had submitted the revised plan which was a forged letter while suggesting that lawful action like an FIR should be lodged against the builder. Case relates to a revision plan submitted in 2011 showing an allotment letter passed by office of “Secretary to UP government Alok Kumar” which gave permission to Supertech for building additional 15 acres of land. The original plan was sanctioned in 2010 that allowed Supertech to build its Upcountry project spread over 100 acres in Yamuna expressway.After an audit and UP Joint Secretary’s confirmation, YIDA found that the revision plan letter which was submitted was actually forged document. After then, YIDA cancelled Supertech’s Upcountry project that has left hundreds of home buyers stuck. To establish clarity and suspicion in the collection of stamp duty, the department of registration and stamps is working on making property assessment online and putting it out in the public ownership. Dr Ramaswami N, inspector general of Registration and controller of stamps told to DNA” We will launch an online module for the valuation of property by the people. They will be able to do this on their own instead of depending on middlemen”. He also said that this step would surely depress diplomacy and corruption while certify clarity. Senior official of department said “Assessment of stamp duty will be put online in the public concern. We will ensure that this is done internally before rolling it out for the people,” said a senior official from the department”. Prime Minister Narendra Modi has launched Digital India Scheme, The Aadhaar linked Digi locker is part of this scheme. This locker is enable people to keep their confident documents like address proof, education certificate, and property paper in a paper less form depot’s free storage space. In 2016, the price of residential property rose by 4-6%. Residential demand in Pune has remained active over the last few years. 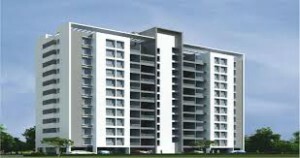 Requirement of property in the real estate market in Pune has always been very high in the last over 10 years. Investing once in residential property of Pune, is likely to get you much higher returns/ more profit than you invested in the present rising trend. In 2015, Pune worn out the average capital value acknowledge across key Indian cities in the residential real estate credit class. Real estate market of Pune witness price testimonial of 7.9% year over year last year. While price of others cities real estate market rise by 2-6%. In North-West area like Hinjewadi, Marunje Road, Ravet, Punevale, etc witness the highest price appreciation of 8.9%, followed by the North-East area like Wagholi, Keshnanad Road, Kharadi, etc at 8.6%. Recognition in the South-East area like Undri, Pisoli and Kondhwa stood at 7.9%, while in the North Moshi, Alandi Road, etc. it was 8.4%. South-West area like Bhugaon, Pirangut, Gothawade and Central sub-markets Koregaon Park, DolePatil Road, Kalyani Nagar, etc. saw a price appreciation of 7.6% and 6.4%, respectively. Pune is the wide hub of IT/ ITeS, BFSI and manufacturing companies, this is increasing population in Pune and due to this the demand of residential project is high. Developers are launching mostly of their projects in North- West and North-East. The border areas of the South-East sub-market also witness fast and significant number of launches in the price bracket of Rs. 3,000 to 4,000/square feet. Pune’s luxury homes segment has also been growing, with salient players such as Panchshil Realty, Kolte-Patil Developers Ltd, Lunkad Realty, Marvel Realtors, ABIL, Rohan Builders and Naiknavare Developers capitalizing on the demand in this segment. However, a slight shift in the luxury homes development trend is now visible, with many new players having ventured into the affordable housing segment. Developers such as Dreams Group, Vastushodh and Tata Housing have launched quite a few affordable housing projects in the last few quarters. This is obviously where the greatest demand lies. Affordable housing price is according to area Rs. 3,000-4,500/square feet and mid-segment housing Rs. 4,500-5,500/square feet has grown significantly and added more than 15,000 units in 2015. This trend will continue, with several more affordable and mid-segment projects likely to hit the market in the surface areas. People are giving positive response towards newly launched projects which in turn is encouraging developers to construct more projects and investors to invest more. Gurgaon today, is the most beautiful and happening city under NCR region. The city, because of its location near Delhi and having all the modern & developed features and wide scope to explore, is the most preferred destination for for the people in NCR to any other city. 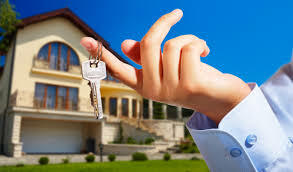 Real Estate market in NCR region including Gurgaon is on another sky of success. 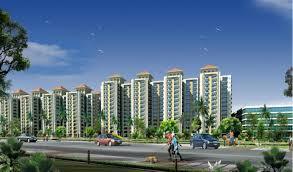 Investing in property in Gurgaon or any other NCR region is making future bright and secure. According to news daily report, Real estate price in Gurgaon is likely to slit more with administration consider to incise circle rates. As per The Times of India reported that Circle rates were kept pardon in the last two financial years -2014-15 and 2015-16; however it could not do much to boost the market tendency. Gurgaon deputy commissioner TL Satyaprakash has kept outline before the government of Haryana to slit circle rates by up to 15% for sale and purchase of property in Gurgaon. Circle rates are the rates that are minimum and defined prices at which sale or transfer of a plot, built-up-house, residential property, commercial or land takes place. Below this price registration of property will not take place. Registration and stamp duty charges for a property are also depending on this.